29 June 2004; 14 years ago (29 June 2004), as Parma Football Club S.p.A.
Parma Calcio 1913, commonly referred to as Parma, is an Italian football club based in Parma, Emilia-Romagna. It currently plays in Serie A. Founded as Parma Football Club in December 1913, the club plays its home matches in the 26,969-seat Stadio Ennio Tardini, often referred to as simply Il Tardini, from 1923. Financed by Calisto Tanzi, the club won eight trophies between 1992 and 2002, a period in which it achieved its best ever league finish, as runners-up in the 1996–97 season. The club has won three Coppa Italia, one Supercoppa Italiana, two UEFA Cups, one European Super Cup and one UEFA Cup Winners' Cup. Financial troubles were brought about in late 2003 by the Parmalat scandal which caused the parent company to collapse and resulted in the club operating in controlled administration until January 2007. The club was declared bankrupt in 2015 and re-founded in Serie D but secured a record three straight promotions to return to Serie A in 2018. A club was founded in July 1913 as Verdi Foot Ball Club in honour of the centenary of famous opera composer Giuseppe Verdi, who was born in the province of Parma. It adopted yellow and blue as its colours. In December of the same year, Parma Foot Ball Club was formed from many of the original club's players and began wearing white shirts emblazoned with a black cross. Parma began playing league football during the 1919–20 season after the end of World War I. Construction of a stadium, the Stadio Ennio Tardini, began two years later. Parma became a founder member of Serie B after finishing as runners-up in the Prima Divisione in the 1928–29 season. The club would remain in Serie B for three years before being relegated and changing its name to Associazione Sportiva Parma in 1931. In the 1935–36 season, Parma became a founding member of Serie C, where the club stayed until winning promotion back to Serie B in 1943. Italian football was then brought to a halt as the Second World War intensified, although the team did make an appearance in the Campianto Alta Italia in 1944. Following the restart of organised football, Parma spent three years in Serie B, then split into two regional divisions, before again being relegated in 1948–49 to Serie C. The side would spend another five seasons in Serie C before an eleven-year spell in Serie B that included the achievement of ninth position in 1954–55, a club record at that time. This was an era in which the club's players generally held down other jobs or were still in education and when the town's amateur rugby union and volleyball sides, Rugby Parma F.C. 1931 and Ferrovieri Parma, proved more popular among the more privileged. Parma made its debut in European competition during the 1960–61 season, defeating Swiss side AC Bellinzona in the Coppa delle Alpi, but relegation to Serie C followed in 1964–65 season. Parma spent just one season in Serie C before a second successive relegation, this time to Serie D, in 1966. The club was in turmoil and was ordered into liquidation by the Court of Parma in 1968, changing its name to Parma Football Club that year. In 1969, another local team, Associazione Calcio Parmense, won promotion to Serie D. On 1 January 1970, A.C. Parmense adopted the sporting licence of the liquidated club which had been formed in 1913. This meant that it had the right to use the Crociata shirts, the badge and the city's name. This brought about a change of luck in both financial and sporting terms, as the side was crowned Serie D champions and spent three years in Serie C before promotion to Serie B; however, it was a short stay. The team was relegated back to Serie C in its second season in the division. A return to Serie B did not materialise until the end of the 1970s and the club again lasted only one season in the second division of Italian football. Under the management of Cesare Maldini, Parma once again returned to Serie B after winning its division in 1984 with victory on the final day over Sanremo; Juventus-bound Stefano Pioli scored the only goal of the game. The Ducali again only spent a year in Serie B, finishing third from bottom and succumbing to relegation as a consequence. Arrigo Sacchi did, however, manage to return the club to Serie B in 1986 after a single season in the third tier. The side enjoyed good success that season in missing out on promotion to Italy's top tier by just three points and eliminating A.C. Milan from the Coppa Italia, a result that convinced owner Silvio Berlusconi to hire Sacchi as the new manager of the Rossoneri. Sacchi's replacement, Zdeněk Zeman, was fired after just seven matches and replaced by Giampieri Vitali, who secured two consecutive mid-table finishes. Nevio Scala was appointed as head coach in 1989. Scala's Parma secured a historic promotion in 1990 to Serie A with a 2–0 Derby dell'Enza win over Reggiana. and investment from parent company Parmalat helped to improve the team's fortunes and the club made its debut in UEFA competition in 1991. Scala led the club to its first four major honours. The first of these was the Coppa Italia in 1991–92, beating Juventus 2–1 over two legs. The following year came the first international triumph in a 3–1 victory in the Cup Winners' Cup over Belgian side Antwerp at Wembley. The next season, the side was successful in the European Super Cup, overcoming Milan 2–1 on aggregate, but lost the Cup Winners' Cup final 1–0 to Arsenal. Scala's final success with Parma was in another two-legged final against Juventus: Dino Baggio scored twice to give Parma a 2–1 aggregate win, but Juventus exacted revenge in the Coppa Italia final. Replaced by Carlo Ancelotti, Scala departed in 1996 and was a popular coach for the trophies he won and because the team played attractive football in the tradition of the club. 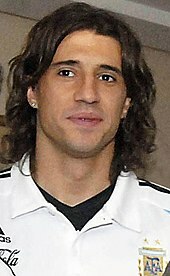 Hernán Crespo represented the club in two spells, winning three trophies and becoming the club's all-time record goalscorer. Ancelotti overhauled the team and guided it to a record second place in 1997. Parma consequently made its debut in the UEFA Champions League the following year. Alberto Malesani was installed as coach in 1998 and the club completed a rare cup double in his first season, winning the Coppa Italia final against Fiorentina on the away goals rule and the UEFA Cup against Marseille at the Luzhniki Stadium in Moscow with a 3–0 victory before 1999 Supercoppa Italiana victory over league champions Milan followed in August 1999. In 2000, Hernán Crespo was sold to Lazio for a world record transfer fee and Malesani departed. Under replacement Renzo Ulivieri, the club lost the Coppa Italia final to Fiorentina. Under Pietro Carmignani in 2002, Parma won the third Coppa Italia trophy against Juventus (but would slip to defeat in the 2002 Supercoppa Italiana) and finished outside the top six for the first time since promotion in 1990. This success earned it a tag as one of the "Seven Sisters". In April 2004, the club was declared insolvent following the financial meltdown of Parmalat and the club remained in special administration for three years. The club re-formed as Parma Football Club SpA in June 2004 (as a subsidiary of being liquidated Parma AC SpA) and the 2004–05 season saw Parma plummet to its lowest finish in Serie A – despite a second consecutive 23-goal haul from Gilardino, who was then sold for €25 million – as managers came and went. Parma ended the following season, its first without European competition since 1991, in tenth, but returned in 2006 after the Calciopoli scandal. Claudio Ranieri managed Parma during the latter half of the 2006–07 season. On 24 January 2007, Tommaso Ghirardi bought the club out of administration and became the owner and president of the club. Manager Claudio Ranieri helped the team avoid relegation to Serie B on the final day of the 2006–07 season following his February appointment. However, under a succession of managers, Parma's battle with relegation the following year was not successful, consigning the club to Serie B after 18 years in the top flight. Francesco Guidolin won promotion back to Serie A at the first attempt with a second-place finish and led the side to eighth on its return to Serie A in 2009–10, narrowly missing out on qualification for the UEFA Europa League before leaving for Udinese. In May 2010, Guidolin swapped jobs with Pasquale Marino, who was sacked by Ghirardi in April 2011 when Parma was caught in another relegation dogfight. Under Marino's replacement, Franco Colomba, Parma escaped the threat of relegation with two games to spare. In January 2012, Colomba was replaced by Roberto Donadoni following a winless run that culminated in a 5–0 loss to Inter Milan and the new coach led the team to eighth position in a Serie A club record seven-match winning run. In 2014, Donadoni guided Parma to sixth in Serie A and a third consecutive top ten finish, but a return to Europe in the Europa League for the first time since 2007 was barred due to the late payment of income tax on salaries, not qualifying for a UEFA license, for which the club would also be docked points during the 2014–15 Serie A season. Financial troubles precipitated a succession of ownership changes and the club's eventual bankruptcy in March 2015 with total liabilities of €218 million, including €63m unpaid salaries. The club was allowed to finish the season but finished bottom of the league in 20th place. The re-founded club, S.S.D. Parma Calcio 1913, was formed in July 2015, taking its name from the year of foundation of the predecessor club and securing a place in the 2015–16 Serie D under article 52 of N.O.I.F. as the representative of Parma. Ex-head coach Nevio Scala was appointed as president and former player Luigi Apolloni was chosen as head coach. In the club's first season, it sold over 9,000 season tickets, more than doubling the Serie D record. Parma achieved promotion from Serie D into professional football league Lega Pro with three games to spare following a 2–1 win against Delta Rovigo, ending the season in first place with 94 points from 38 games, and an unbeaten run of 28 victories and 10 draws. Parma ended the 2016–17 Lega Pro season in second place of Group B, but were promoted to Serie B after a 2–0 win over Alessandria in the promotion play-off final. On 18 May 2018, Parma achieved a third promotion in three seasons, becoming the first Italian football club to achieve this, having finished the 2017–18 Serie B season second behind champions Empoli and level on points with Frosinone, but achieving automatic promotion due to a better head-to-head record, thus making a comeback to the top flight for the next season in 2018–19 Serie A just three seasons after their bankruptcy relegation to Serie D. On 23 July 2018, Parma were handed a 5 point deduction for the 2018–19 Serie A season, following text messages from Parma player Emanuele Calaio "eliciting a reduced effort" from two players of Spezia (Filippo De Col and Claudio Terzi) during the 2017–18 season, a match Parma won 2–0 to secure promotion. On 9 August, Parma had the 5-point deduction expunged. Originally, the club wore yellow and blue chequered shirts in honour of the city's traditional colours, which date back to 1545 when the Duchy of Parma was established, but white shirts with a black cross on the chest were introduced after the First World War, drawing inspiration from Juventus' colours, following a name change. White continued to be worn as the main colour of the home kits for much of the remainder of the century, although often complemented with yellow, blue or both, rather than black. The club did, however, experiment in the 1950s with blue shirts and blue and yellow striped shirts. The cross shirts were restored and worn until bankruptcy in 1968, when white shirts with off-centre blue and yellow vertical bands were worn, but the cross returned from 1970 until 1983 when a yellow and blue-sleeved white shirt was introduced and used for 8 years. After decades in the lower divisions, Parma was promoted to Serie A in 1990, where the side immediately became a major force in the battle for major trophies, on many notable occasions in direct opposition to Juventus, who would become fierce rivals of Parma's. This rivalry and the influence of Parmalat led to the demotion of the white shirts to the away kit, so the side wore yellow and blue hooped shirts at home for six seasons between 1998 and 2004, and navy blue shirts often worn as third choice in this period. This was a time of great success for the club, thus the shirts became synonymous with Parma, often still called the Gialloblù (Yellow and Blues) today, despite a recent reversion to the traditional white shirts emblazoned with a cross caused by parent company Parmalat's collapse and the clubs subsequent re-foundation as Parma Football Club. Yellow and blue were Parma's traditional change colours, used in various combinations from 2004 to 2015, such as vertical stripes, hoops, crosses or as solid colour designs. Parma's logo changed in 2005 to reflect the name change from Parma A.C. to Parma F.C., but the logo otherwise remained the same, encompassing the city colours of yellow and blue and the club's traditional black cross set on a white background, and has not changed much in years, although it was dramatically overhauled to feature a prancing bull for one season in 2000–01 before it was criticised and discontinued in favour of the old badge. A new badge with broadly similar features was introduced for the 2014–15 season following the use of a commemorative centenary badge for the 2013–14 campaign. The newly formed club in 2015 adopted a new logo before acquiring the rights to a number of legacy items for €250,000 a year later. Parma initially had no permanent home and used the Piazza d'Armi, where two wooden posts constituted the frame of each goal. In December 1914, the club began to use land between the Via Emilia, the Eridania refinery and the Ferraguti factory, but it was sold, so the club returned to the Piazza d'Armi before transferring to the Tre Pioppi, the first fenced-off pitch in the city. Parma moved into the Stadio Ennio Tardini in 1923 and remains there today, although the stadium saw drastic change from the vision of Ennio Tardini, under whose auspices the stadium was to be built, but who died before completion of the venue. Much of the renovation took place after the club's first promotion to Serie A at the start of the 1990s. Since 1996, the first team has trained and played friendly matches at the Centro Sportivo di Collecchio in Collecchio, which is located 15 kilometres to the south-west of the stadium. Parma's youth teams also play their home matches in the same complex. Until 2015, younger youth teams trained at Campi Stuard but now train at Collechio. In 2018, the refounded Parma Calcio 1913 acquired the centre from the administrator of Eventi Sportivi S.p.A., the parent company of Parma F.C., and the former owner of the centre, for about €3 million. The supporters of Parma are seen as placid fans. Traditionally, they have been seen as fans who enjoy the spectacle of football and are less partisan, although they have been more characterised by impatience of late. The supporters were praised for their loyalty after the club sold more season tickets in 2015 when playing in Serie D than the previous year in Serie A following bankruptcy. In Northeast Italy, the team is the fifth best supported, behind Inter Milan, Juventus, Milan and Bologna, the first three of which are not based in that region. They are represented by three main groups: il Centro di Coordinamento dei Parma Club (which represents most of the fanbase), l'Associazione Petitot and the club's ultras, Boys Parma, which was established on 3 August 1977 by young fans wanting to split from the Centro di Coordinamento and to encourage meetings with opposition fans. The Boys Parma occupy the northern end of the home stadium, La Curva Nord, directly opposite to where the away fans sit in the south stand. In 2008, the Curva Nord was renamed in honour of Boys Parma 1977 member Matteo Bagnaresi, who died when he was run over on the way to the Tardini by a coach which was carrying the opposition Juventus fans. In a not uncommon practice, the number 12 shirt has been reserved for the Parma fans, meaning no player is registered to play with that number on his kit for the club. The implication is that the supporters, particularly those of the famous Curva Nord, are the twelfth man. The last player to be registered with the number was Gabriele Giroli for the 2002–03 season. Parma's club anthem is Il grido di battaglia, which means "The Battle Cry". Parma maintains rivalries with regional and national clubs; some of these are keenly fought local derbies. Derby dell'Enza[nb 1] opponents Reggiana are the club's bitterest rivals. The ill-feeling with Reggiana comes from a traditional city rivalry between Parma and Reggio Emilia. Parma contests the Derby d'Emilia[nb 2] with Bologna. Bologna and Parma are Emilia-Romagna's two most decorated clubs, winning the region's only domestic titles: 7 Serie A titles and 5 Coppe Italia. Two other local derbies are the Derby dei Ducati,[nb 3] which is contested with neighbours Modena, and the Derby del Ducato,[nb 4] which is played against Piacenza. Despite their relative obscurity, Lombardian side Cremonese and Tuscan outfit Carrarese, to Parma's north and south, respectively, are both seen as rivals too. Juventus is considered a great rival of Parma largely due to their recent duels, which include Parma's 1995 UEFA Cup victory, its first and third Coppa Italia triumphs, Supercoppa Italiana defeats in 1995 and 2002, and its 1995 domestic cup final defeat to The Old Lady. These six matches comprise nearly half of the fourteen major finals Parma has participated in. Ironically, Parma's colours have their origins in those Juventus wears, and the switch from white and black to a yellow and blue home kit in the late 1990s took place in order to distance and distinguish Parma from Juventus. Parma maintain keenly fought rivalries with Vicenza and Genoa. In Italy, it is common for clubs to be twinned in an arrangement called gemellaggi. This is a practice uncommon elsewhere. Parma enjoy amicable relations with Empoli in an arrangement that dates back to a game played in foggy conditions in 1984 that ended in the Parma fans congratulating those of Empoli on its win when the full-time whistle was blown without the Azzurri fans' knowledge. Perhaps a more current bond is felt towards the fans of Sampdoria. In 1991, the club was bought by multinational Italian dairy and food corporation Parmalat. This was the platform for success on the pitch but the club eventually succumbed to administration in 2004 due to Parmalat's massive bankruptcy with debts of $20 billion and fraudulent activity at Parmalat worth over €10 billion and a €167 million net loss by the club in 2003. On 24 January 2007, engineering entrepreneur Tommaso Ghirardi bought the club after three years of administration for $39 million and incorporated Eventi Sportivi as a holding company owning 100% of the club's shares of €20 million nominal value. Eventi Sportivi Srl (later S.p.A.), at first had a share capital of just €3 million, with Banca Monte Parma, owned 10% of the shares as minority. By 21 January 2009, Ghirardi's ownership of Eventi Sportivi was 75% with Banca Monte Parma holding 10% and Marco Ferrari, former vice-president Diego Penocchio and Penocchio's company Brixia Incipit each owning 5%. In July 2011, Ghirardi sold to both Alberto Rossi and Alberto Volpi 5% each of Eventi Sportivi. On 29 February 2014, Energy T.I. Group bought 10% of the shares in the club from Eventi Sportivi. On 19 December 2014 and as a result of a ruling which barred the club from a first European campaign under Tommaso Ghirardi, Ghirardi sold his 66.55% controlling stake in Eventi Sportivi to Dastraso Holding Ltd, a company based in Cyprus and controlled by Rezart Taçi for €1, at which point the club was $200 million in debt. The club became the third Serie A club to become foreign-owned as a result and Albanian Emir Kodra was installed as president. In February 2015, Taci sold his stake to Giampietro Manenti for the price he bought it, €1, less than two months after buying it, at which point salaries at the financially stricken club had not been paid since the previous summer. With Parma bottom of Serie A, Manenti was arrested in March 2015 on allegations of money laundering and his involvement in a credit card fraud ring, imperilling the already precarious situation as the club was plunged further into debt. On 19 March 2015, the club was declared bankrupt with a total liabilities of €218 million (including unpaid wages of €63 million). On 22 April 2015, the intermediate holding company of Parma, Eventi Sportivi SpA, was also declared bankruptcy by the Tribunal of Parma. The club was then declared legally bankrupt on 22 June 2015 after no new investors willing to refurbish €22.6 million debt in order to trigger Comma 3 of Article 52 of N.O.I.F. to allow the club to remain in Serie B. Other debts of the club were either waived by the footballers or settled by the administrator. New investor was not required to repay the subordinated debt and bank debt of the old company. The medals of Parma, which was owned by the company, as well as Centro Sportivo di Collecchio which was owned by its holding company Eventi Sportivi, were under auction after the bankruptcy. The phoenix club S.S.D. Parma Calcio 1913 S.r.L. was incorporated in 2015 under the ownership of Nuovo Inizio SrL with share capital of €250,000. Nuovo Inizio was owned by a number of backers including representatives of Parmalat and local businessmen Guido Barilla (co-owner of Barilla Group), Paolo Pizzarotti (president of Impresa Pizzarotti), Mauro Del Rio and Gian Paolo Dallara. The new owners sought to overhaul the core philosophy of Italian club ownership and formed Parma Partecipazioni Calcistiche SrL to act as a vehicle for fan ownership, so issued a further €89,286 of shares to that company. Fans therefore own approximately 25% of the club at a cost of €500 per share. In June 2017, Chinese businessman Jiang Lizhang's Desports group acquired a 60% majority stake in the club. The seven local businessman who launched the club in 2015 retained 30% of the club, while the remaining 10% remained in the hands of fans through Parma Partecipazione Calcistiche. At the end of October 2018 the local Nuovo Inizio group regained control of the club reacquiring 60% of the shares, with the Chinese partners forced to downsize to 30% in light of alleged lack of diligence in meeting their obligations, while 10% remained unchanged in the public company Partecipazioni Calcistiche. On 9 November Parma Calcio held a Shareholders’ Meeting to appoint a new Board of Directors, at the end of which mr Pietro Pizzarotti, at the time vice-president, was appointed the new president of the club. 6 – The club announced the retirement of the shirt number worn by club's captain Alessandro Lucarelli after his retirement announcement. Lucarelli holds the record for league appearances for the club and stayed with the club from its 2015 relegation from Serie A to Serie D following bankruptcy and through its three straight promotions back to Serie A between 2015 and 2018. 12 – From the 2002–03 season until the present (with the exception of the 2015–16 season in Serie D, where league rules required that the number be assigned to a substitute), Curva Nord of the Stadio Ennio Tardini, as a sign of recognition towards the fans who sit in the Curva Nord, considered the 12th man on the pitch. For information on Parma's youth teams, see S.S.D. Parma Calcio 1913 youth teams. Below the first team, the club runs six teams at youth level, as well as a ladies' team. For details of former players, see List of S.S.D. Parma Calcio 1913 players and Category:Parma Calcio 1913 players. For a list of club captains, see List of S.S.D. Parma Calcio 1913 players#Club captains. For player records, including player awards, see S.S.D. Parma Calcio 1913 statistics and records. Below is a list of Parma managers since the end of the First World War until the present day. Parma has won eight major titles in its history (as well as one Serie B title), all coming in a period of ten years between 1992 and 2002. These honours make it the eleventh most successful team in Italian football history in terms of the number of major trophies won, the fourth most successful team in European competition, after A.C. Milan, Juventus and Inter Milan, and one of thirteen Italian clubs to have won multiple major titles. ^ Derby dell'Enza translates to Enza Derby. The River Enza is an affluence of Italy's longest river, the Po, and forms the boundary of the provinces of Parma and Reggio Emilia. ^ Derby d'Emilia would be translated to Emilia Derby. Emilia is a region that approximately corresponds to the western and north-eastern portions of today’s Emilia-Romagna. The region takes its name from the Via Aemilia, a Roman road in 187 BCE. ^ Derby dei Ducati means Derby of the Duchies, the duchies in question being those of Modena and Reggio and Parma. These territories were competing and neighbouring duchies during the Renaissance. ^ Derby del Ducato is the Italian equivalent of Derby of the Duchy. 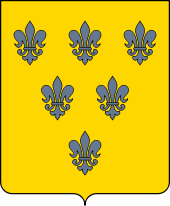 The Duchy of Parma was created in 1545 and became the unified Duchies of Parma and Piacenza in 1556. ^ At the time, this was one of 3 parallel regional third tier divisions. ^ a b At the time, this was one of 2 parallel regional third tier divisions. ^ At the time, this was one of 9 parallel regional fourth tier divisions. ^ Parma competed as a representative of Italy. ^ a b c d "Informacje" [Information]. FCParma.com.pl (in Polish). Retrieved 6 January 2012. ^ Mynk, K.C. (17 April 2009). "How the Mighty Have Fallen: The Decline of 10 Untouchable Football Clubs". BleacherReport.com. Bleacher Report. Retrieved 1 August 2010. ^ a b "Codice etico" [Ethical code] (PDF) (in Italian). Retrieved 24 December 2014. ^ a b c d "Parma Club History". Football-Italia.net. Football Italia. Retrieved 12 January 2012. ^ a b "Parma". Goal.com. Goal.com. Retrieved 5 January 2011. ^ a b "Stadium". FCParma.com. Parma F.C. Retrieved 22 December 2013. ^ a b c "Da Giuseppe Verdi a Wembley..." [From Giuseppe Verdi to Wembley]. Gazzetta di Parma (in Italian). Parma: Editrice Gazzetta di Parma. ^ a b c d e "Parma: '90s Phenomenon". GhostGoal.co.uk. 19 May 2010. Archived from the original on 17 August 2011. Retrieved 31 July 2010. ^ Barber, Tony (11 January 2005). "Bondi invites bids for Parma". Financial Times. Retrieved 25 July 2011. ^ Wilson, Steve. "Top 10...Euro underdogs". Football-Italia.net. Football Italia. Retrieved 12 December 2010. ^ "Crespo "speechless" after making Parma return". Soccernet.ESPN.Go.com. ESPN (UK). 30 January 2010. Retrieved 15 December 2010. ^ Marcotti, Gabriele (24 May 2005). "Tactical switch". The Times. London: Times Newspapers. Retrieved 20 July 2010. ^ a b Bandini, Paolo (23 November 2009). "Seventh sister back on the scene as Parma perk up sibling rivalry". The Guardian. London: Guardian News and Media. Retrieved 9 December 2010. ^ a b "Parma Is Latest In Italy's 'Seven Sisters' Of Soccer To Crumble". The Financial Express. 10 January 2004. Retrieved 9 December 2010. ^ "Parmalat: Timeline to turmoil". BBC News. British Broadcasting Corporation. 28 September 2005. Retrieved 23 November 2010. ^ a b Wilson, Bill (6 January 2004). "Parmalat scandal threatens football club". BBC News. British Broadcasting Corporation. Retrieved 23 November 2010. ^ Richardson, Ben (31 December 2003). "Tanzi's path from boardroom to jail". BBC News. British Broadcasting Corporation. Retrieved 23 November 2010. ^ P "COMUNICATO UFFICIALE N. 6/A (2004–05)" (PDF) (in Italian). FIGC. 8 July 2004. Retrieved 12 July 2015. ^ "AC Milan Group 2006 annual report" (PDF). AC Milan (in Italian). Archived from the original (PDF) on 25 April 2011. ^ a b "Ufficiale: Il Parma è di Ghirardi" [Official: Parma is Ghirardi's]. La Gazzetta dello Sport (in Italian). Milan: RCS MediaGroup. Retrieved 29 July 2010. ^ "Ranieri appointed coach of Parma". BBC Sport. British Broadcasting Corporation. 13 February 2007. Retrieved 1 August 2010. ^ Stanco, Sergio. "La salvezza abita a Parma" [Salvation lives in Parma]. La Gazzetta dello Sport (in Italian). Milan: RCS MediaGroup. Retrieved 29 July 2010. ^ Horncastle, James (13 March 2008). "Cross to Bear". Football-Italia.net. Football Italia. Retrieved 9 December 2010. ^ Carminati, Nadia (24 May 2010). "Udinese appoint Guidolin". SkySports.com. Sky Sports. Retrieved 1 August 2010. ^ Carminati, Nadia (2 June 2010). "Parma appoint Marino". SkySports.com. Sky Sports. Retrieved 1 August 2010. ^ Carminati, Nadia (3 April 2011). "Parma wield axe on Marino". SkySports.com. Sky Sports. Retrieved 4 April 2011. ^ "Salvezza raggiunta: ci sarà il Parma nella Serie A 2011/12" [Safety achieved: Parma will be in the 2011/12 Serie A]. Sportsbook24.net (in Italian). Sportsbook24. Archived from the original on 24 March 2012. Retrieved 13 May 2011. ^ "Fatale il 5–0 con l'Inter, esonerato Colomba" [5–0 with Inter fatal: Colomba fired]. Corriere della Sera (in Italian). Milan: RCS MediaGroup. 9 January 2012. Retrieved 11 January 2012. ^ Salsano, Francesco (13 May 2012). "Parma, settima da record" [Parma, record seventh]. La Gazzetta dello Sport (in Italian). RCS MediaGroup. ^ "Parma lose appeal for UEFA license [sic]". 29 May 2014. ^ "Parma deducted one point for financial issues". FourFourTwo. Haymarket Group. 9 December 2014. ^ a b "Italian court declares Serie A side Parma bankrupt in 10-minute hearing". The Guardian. London: Guardian News and Media. 19 March 2015. ^ a b c d e f Smith, Rory (26 October 2015). "Fallen giants of Italian football begin to stir". The Times. London: Times Newspapers. ^ a b c Teclab, Yousef (24 May 2018). "'It can't be true': Parma return to Serie A after three straight promotions". The Guardian. London: Guardian News and Media. ^ "La S.S.D. Parma calcio 1913 s.r.l. ammessa in soprannumero in Serie D" [S.S.D. Parma calcio 1913 s.r.l. placed in Serie D]. FIGC.it (in Italian). FIGC. 27 July 2015. ^ "New club Parma Calcio 1913 approved to play in Serie D". ESPNFC.com. ESPN (UK). 27 July 2015. Retrieved 27 July 2015. ^ Rickerd, Stewart (30 August 2015). "Parma sell 9,000 season tickets". Gazzetta World. RCS MediaGroup. ^ "Parma promoted to Serie C in first season after bankruptcy". BBC Sport. British Broadcasting Corporation. 18 April 2016. Retrieved 23 April 2016. ^ The Return of Parma. 22 April 2016. ^ "Parma back in Serie B!". Football Italia. 17 June 2017. ^ "Parma secure third successive promotion to Italy's top flight after bankruptcy". BBC Sport. British Broadcasting Corporation. 18 May 2018. Retrieved 19 May 2018. ^ "Parma handed five-point deduction". Football Italia. 23 July 2018. ^ "Parma has 5-point penalty removed, Calaio ban reduced". foxsports.com. 9 August 2018. ^ Velde, François R. "Heraldry in Pre-Unification Italy". Heraldica.org. Retrieved 30 July 2010. ^ "Le Maglie del Parma" [The Kits of Parma]. storiadelparmacalcio.com. ^ "FC Parma Unveils Their 100 Year Anniversary Logo". GettyImages.co.uk (in Italian). Getty Images. 27 February 2013. Retrieved 24 October 2015. ^ "Il Parma Calcio 1913 ha acquistato dalla Curatela il marchio Parma F.C. : sulle maglie torna lo storico scudo gialloblù crociato, ma con la scritta "Parma Calcio"" [Parma Calcio 1913 have acquired Parma F.C. branding: the traditional badge will return to the shirt but with "Parma Calcio"] (in Italian). 23 August 2016. ^ "La storia dello stadio "Ennio Tardini" di Parma (1923)" [The history of Parma's Stadio Ennio Tardini (1923)]. APCPetitot.it. Associazione Parma Club Petitot. ^ a b "Impianti" [Grounds]. ParmaCalcio1913.com (in Italian). S.S.D. Parma Calcio 1913. Retrieved 24 October 2015. ^ a b "Stadio Ennio Tardini". Football-Italia.net. Football Italia. Retrieved 12 January 2012. ^ "PARMA CALCIO 1913, COMUNICATO UFFICIALE" (Press release) (in Italian). Parma Calcio 1913. 9 May 2018. Retrieved 12 May 2018. ^ "Parma Calcio 1913 si aggiudica il centro sportivo di Collecchio". La Repubblica (Parma edition) (in Italian). GEDI Gruppo Editoriale. 9 May 2018. Retrieved 12 May 2018. ^ "Italia, il paese nel pallone" [Italy, the country in football] (PDF). Demos.it (in Italian). Demos & Pi. 24 September 2010. Retrieved 23 February 2012. ^ "Breve Riassunto" [Brief Summary]. BoysParma1977.it (in Italian). Boys Parma 1977. Retrieved 19 December 2010. ^ Bandini, Paolo (31 March 2008). "Sadness and censure as violence blights the Scudetto again". The Guardian. London: Guardian News and Media. ^ "Random Parma Video 8- Parma's Anthem". TheOffside.com. 22 January 2008. ^ "Malesani recalls Tardini triumphs". Football-Italia.net. Football Italia. 19 December 2010. Retrieved 19 December 2010. ^ a b "Italy". FootballDerbies.com. Retrieved 13 February 2012. ^ "Parma-Juve, Like a Derby". TheOffside.com. 8 November 2007. Retrieved 14 December 2010. ^ "The Rivalry is Back: Parma-Juventus". TheOffside.com. 5 January 2010. Retrieved 19 August 2011. ^ "Riproporre il derby dell'Enza Parma-Reggiana per beneficenza" [Revival of the Derby dell'Enza Parma-Reggiana for charity] (PDF). L'Informazione (in Italian). 25 November 2011. Archived from the original (PDF) on 18 February 2012. ^ Fleming, Scott (26 August 2011). "Serious about Serie A". Football-Italia.net. Football Italia. Retrieved 29 August 2011. ^ "Top 10: Twinned clubs". Football-Italia.net. Football Italia. Archived from the original on 22 November 2010. Retrieved 12 December 2010. ^ "Empoli". BoysParma1977.it. Boys Parma 1977. Retrieved 19 December 2010. ^ "Sampdoria". BoysParma1977.it. Boys Parma 1977. Retrieved 19 December 2010. ^ "Boys, è qui la festa per il gemellaggio Parma-Sampdoria" [Boys host the party for the Parma-Sampdoria twinning]. Gazzetta di Parma (in Italian). Parma: Editrice Gazzetta di Parma. 6 September 2012. ^ Arie, Sophie (4 January 2004). "Parmalat dream goes sour". The Guardian. London: Guardian News and Media. Retrieved 31 December 2014. ^ "Due nuovi soci nel Parma Calcio" [Two new Parma shareholders]. Gazzetta di Parma. 21 January 2009. ^ "Due soci affiancano Tommaso Ghirardi: Alberto Rossi e Alberto Volpi" [Two members alongside Tommaso Ghirardi: ALberto Rossi and Alberto Volpi]. Gazzetta di Parma (in Italian). 21 July 2011. Retrieved 31 December 2014. ^ "Parma F.C." Retrieved 31 December 2014. ^ Bandini, Paolo (26 January 2015). "Parma's shrinking violets facing a sour future in Serie A". The Guardian. London: Guardian News and Media. ^ "PARMA FC ALLA DASTRASO HOLDINGS LIMITED. IL PRESIDENTE FABIO GIORDANO: PAGAMENTI E NON RETROCEDERE LE PRIORITÀ" (in Italian). Parma FC. 20 December 2014. Archived from the original on 20 December 2014. Retrieved 21 December 2014. ^ "Parma: Serie A club deducted point by Italy FA". BBC Sport. British Broadcasting Corporation. 10 December 2014. ^ a b "Parma appoint Ermir Kodra, 29, as club's new president". BBC Sport. British Broadcasting Corporation. 23 January 2015. ^ "Parma: la verità sulla MAPI GRUP" [Parma: the truth about Mapi Group]. Gazzetta di Parma (in Italian). 8 February 2015. ^ Gladwell, Ben (12 February 2015). "Parma president Giampietro Manenti says debt payments on way". ESPNFC.com. ESPN. ^ "'Parma work starts tomorrow'". Football-Italia.net. Football Italia. 9 February 2015. ^ "'We sold Parma for €1'". Football-Italia.net. Football Italia. 9 February 2015. ^ Jurejko, Jonathan (23 February 2015). "Parma's uncertain future: Former Uefa Cup winners rack up debts". BBC Sport. British Broadcasting Corporation. ^ "Parma chairman Giampietro Manenti held over credit card scam". BBC Sport. British Broadcasting Corporation. 18 March 2015. ^ "Il Parma è ufficialmente fallito. Ma domenica col Torino si gioca". La Gazzetta dello Sport (in Italian). 19 March 2015. ^ "Parma: dal tribunale due no a Manenti, dichiarata fallita Eventi Sportivi". La Repubblica (in Italian). 22 April 2015. Retrieved 23 April 2015. ^ "Fallimento Parma FC S.p.A. Il giudice delegato stabilisce il debito sportivo" (in Italian). Parma F.C. 20 June 2015. Archived from the original on 22 June 2015. Retrieved 20 August 2016. ^ McCourt, Ian (22 June 2015). "Parma relegated to Serie D after failing to find a new owner". The Guardian. London: Guardian News and Media. Retrieved 22 June 2015. ^ "Eventi Sportivi Spa: il 28 aprile l'asta, si parte da 9,9 milioni". Gazzetta di Parma (in Italian). 5 March 2016. Retrieved 15 August 2016. ^ a b Scarsi, Selene (2 July 2015). "Parma Calcio 1913 unveiled, 'new chapter' begins for club says Barilla". ESPN FC. ESPN. ^ Borden, Sam (17 August 2015). "Parma's Rebirth Rests on a Ragged Pitch". The New York Times. Arthur Ochs Sulzberger, Jr.
^ Dolci, Stefano (21 June 2017). "Anche il Parma diventa cinese: il 60% delle azioni a Jiang Lizhang, Crespo sarà il vicepresidente" [Parma is next to become Chinese: 60% of the shares to Jiang Lizhang, and Crespo will be vice-president]. Eurosport. Discovery Communications. ^ "Marco Ferrari: "Jiang Lizhang di Desports è il socio ideale per crescere. Il mio compito è finito. Rimarrò sempre vicino alla società come azionista e come tifoso"" [Marco Ferrari: "Jiang Lizhang of Desports is the ideal shareholder for growth. My task is complete. I will always remain close to the club as shareholder and f"]. ParmaCalcio1913.com. 21 June 2017. ^ "Prima squadra" [Parma Calcio 1913]. ParmaCalcio1913.com (in Italian). S.S.D. Parma Calcio 1913. Retrieved 4 February 2016. ^ "ELITE ACADEMY TRANSFERS". Inter. 17 August 2018. ^ "C'è un numero 6: 6razie capitan Lucarelli" (in Italian). Parma Calcio 1913. 27 May 2018. Retrieved 28 May 2018. ^ "La numerazione delle maglie dei crociati per la stagione 2016-2017. La Lega Pro concede la deroga al Parma per la numero 12 assegnata ai tifosi" (in Italian). Parma Calcio 1913. 5 August 2016. Retrieved 31 August 2016. ^ "News Giovanili e femminile" [Youth and ladies' news]. ParmaCalcio1913.com (in Italian). S.S.D. Parma Calcio 1913. Retrieved 24 October 2015. ^ a b c d e "Lo staff tecnico" [Coaching staff]. ParmaCalcio1913.com (in Italian). S.S.D. Parma Calcio 1913. Retrieved 24 October 2015. ^ a b "I presidenti e gli allenatori del Parma Football Club" [The presidents and coaches of Parma Football Club]. StoriaDelParmaCalcio.com (in Italian). Retrieved 30 July 2010. ^ a b "Official: Parma sold to Dastraso". Football-Italia.net. Football Italia. 19 December 2014. ^ a b c "Fallimento Parma: 5 anni di inibizione per Ghirardi e 5 anni e preclusione per Leonardi" (Press release) (in Italian). FIGC. 23 September 2016. Retrieved 6 June 2017. ^ "Comunicato Stampa" [Press release] (in Italian). 9 February 2015. Archived from the original on 10 February 2015. ^ "Storia" [History]. ParmaCalcio1913.com (in Italian). S.S.D. Parma Calcio 1913. Retrieved 24 October 2015. Bellè, Gianfranco; Gandolfi, Giorgio (2003). 90 anni del Parma calcio 1913–2003 [90 Years of Parma Football 1913–2003] (in Italian). Parma: Azzali Editore. Dunford, Martin (1 March 2011). The Rough Guide to Italy (10th ed.). Rough Guides. ISBN 978-1-84836-717-3. Retrieved 23 February 2012. Giulianotti, Richard (16 August 1999). Football: a sociology of the global game. Polity Press. ISBN 978-0-333-94612-1. Retrieved 23 February 2012. Melegari, Fabrizio, ed. (2007). Calciatori del Parma (I Crociati nelle figurine Panini) [Parma Players (The Crusaders in Panini Trading Cards)] (in Italian). Modena: Panini Group. Morrow, Stephen (30 September 2003). The people's game? : football, finance, and society. Palgrave Macmillan. ISBN 978-0-333-94612-1. Retrieved 23 February 2012. Sappino, Marco (2000). Dizionario del calcio italiano [Dictionary of Italian football] (in Italian). 2. Baldini & Castoldi. ISBN 978-88-8089-862-7. Retrieved 23 February 2012. Wikimedia Commons has media related to SSD Parma Calcio 1913. This page was last edited on 3 April 2019, at 18:45 (UTC).